Hi guys! Popping in today to talk a little bit about some ways I have been teaching shapes to my students this year. 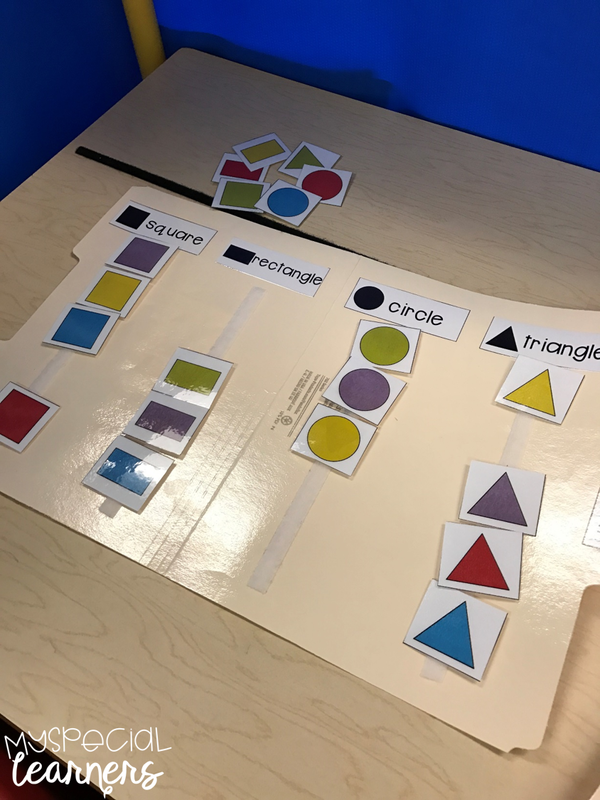 Sometimes it's easy to get stuck in a routine of teaching something with just one thing (like flashcards!). However, this often leads to our students having a hard time generalizing the skill! 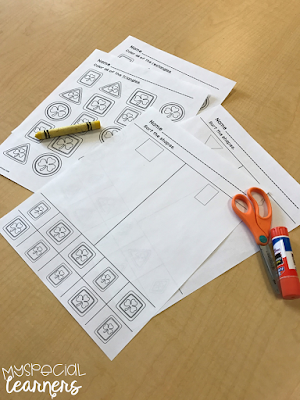 Here are a few ways I have been working on shape generalization this school year. 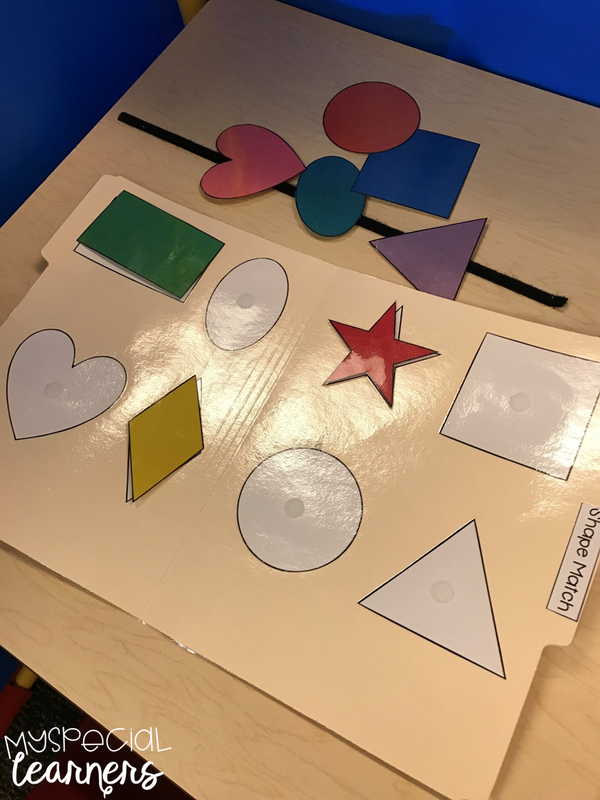 These shapes file folders are a FREEBIE in my shop and a great way for students who are nonverbal to sort or match shapes! I also use them in my independent work bins for students that need to continue practicing their shapes. 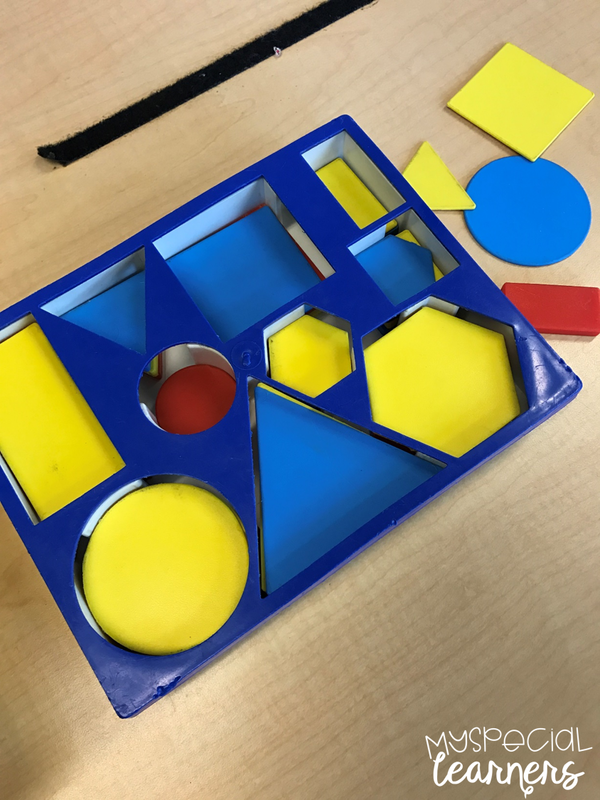 I love this shape sorter we have in our classroom! I'm not quite sure where it came from, but there are plenty of different shape sorters out there. Added benefit? This is great for fine motor skills as well! 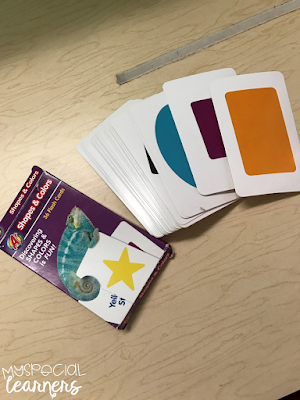 Flashcards are always an easy go to task in the classroom. You can get so many different kinds of educational flashcards for cheap from Target and Dollar Tree! These flashcards are great for my verbal kiddos but also my nonverbal students. For students that aren't yet speaking, I lay out a few choices on the table and ask them to give me a specific shape (or color, for this set!). This set was just $1 at Dollar Tree! 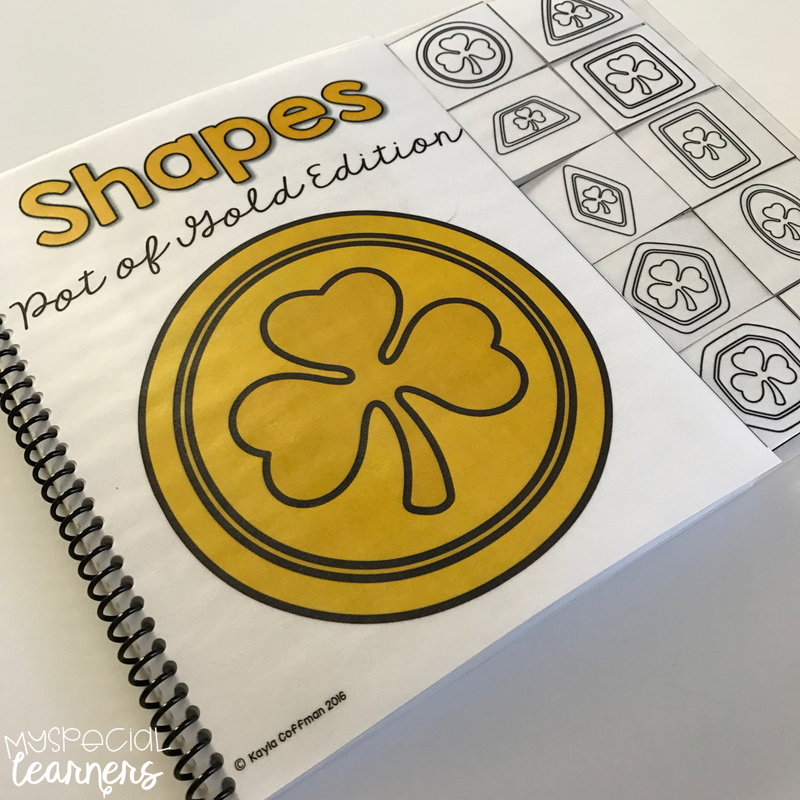 My Monthly Math Packs have some different shape sorting pages and color the shape pages which have been an easy go-to this school year! I love anything that helps me work on other skills such as cutting, gluing, or coloring! I found these felt beauties at the Target Dollar Spot and I LOVE them! 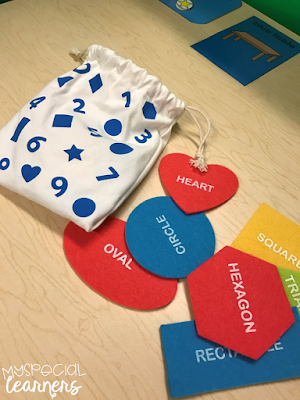 They are great for receptive and expressive identification of the shapes! I love using adapted books for anything and everything. They can be reused again and again and keep my kiddos interested! These shapes adapted books have been a great resource for matching shapes this school year! 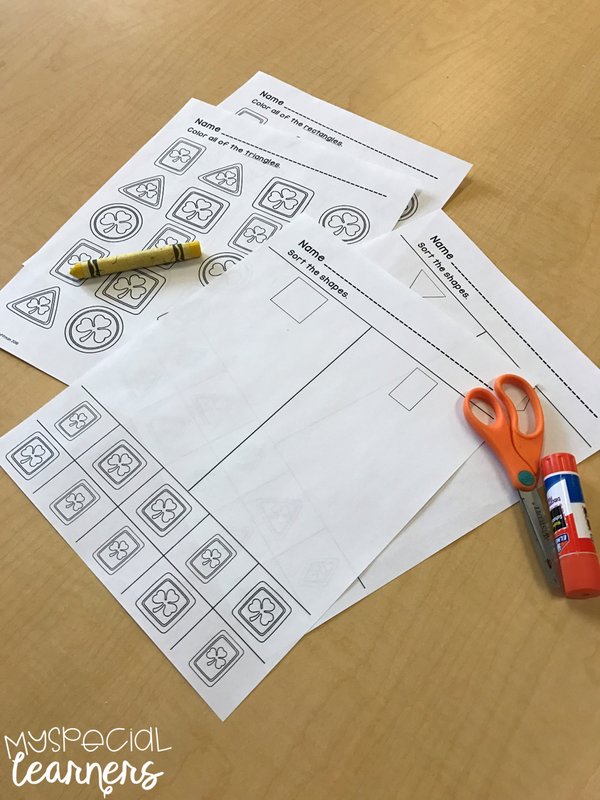 There are SO many other ways to generalize shape identification in the classroom. 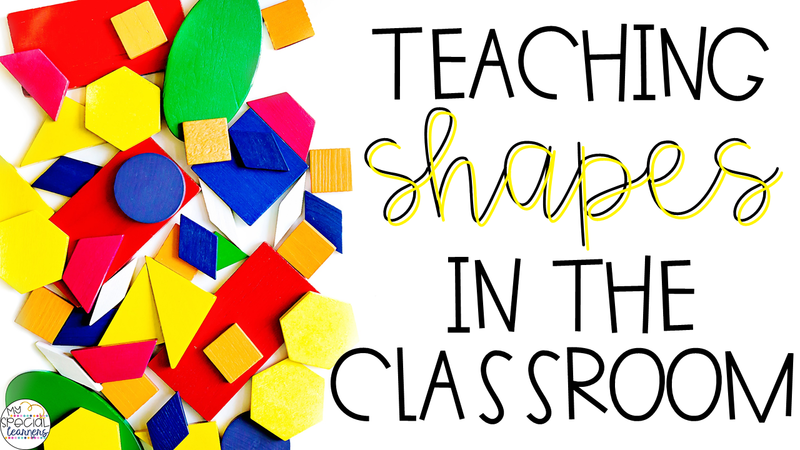 What are some of YOUR favorite ways to teach shapes? !